This follows one boys coming of age story in the Congo of the 1970’s , like many other places in africa at that time the country had swung to the left and fallen in with Communism , like many regimes of the time this was just an excuse for a man called Ngoulmouako and his henchmen to try to run the orphanage where our Hero Mose lives and what follows here is a modern twist on the orphan made good story that made so many great books from Charles dickens , it’s not Oliver twist or pip no Moses has it hard but he is in the town of Point-Noire the colourful town that has been at the centre of most of Mabanckou fiction Moses gets help from Maman fiat 500 whom he tells her he is called little pepper , part of his robin hood fantasy (I love this name classic Mabanckou) the mistress of the local whore , who finds him a job as a docker and tries to help him out he spends time with her and the girls.he gets in many scraps with his group of friends as they hang out with Mamans Zairian girls Then the world start to turn dark Maman disappears the girls are forced out as there is a drive for girls just from Congo as they are driven out we see the dark side of the regime . Anyway, what’s your name ? “What kind of a name is that ? You must have a real name , like everyone else?! When i didn’t react she sighed “Never mind, we’ll call you that ! My name is Maman fiat 500! She took out a ten thousand CAF franc note and held it out to me . This feels like a writer loving his homeland , after his last book which saw Alain return for the first time in many years to his home town of Point Noire , which is the setting for the novel , I feel this maybe is part of a story he heard on his retutrn that he has woven into a tale of growing up in the town on a different path to his own Moses is a take of the orphan story rather more like artful dodger with his gang of friends and then there is Maman story , her story is almost like the Harlots Progress as her girls follow the path and rise and then fall like in Hogarth’s etchings as with Mose is maybe like tom in the rakes progress series of etchings , even to the end where we see mose is in a cell in a prison for the criminally insane . He has revived the classic orphan tale in a Congo under the yoke of communism where the bad take control . I choose “The smiths ” as back to the old house is about return to your youth as well . 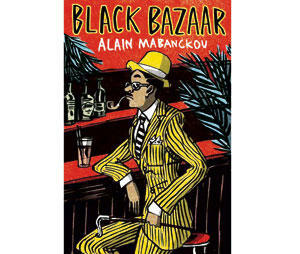 Well the second stop ion a few days I am spending on the blog in Africa .I am now in Congo , with one of my favourite writers Alain Mabanckou has featured on the blog three times before with his fiction with the books Black Bazaar ,Memoirs of a porcupine and broken glass . This is his latest to be translated to English and is a memoir of his return to Congo and his home town .Since he last featured here on the blog Alain Mabanckou has been on the Man international prize list and was on this years Priz Goncourt longlist for his latest novel in French .He is also one of my favourite writers ever !! He remembers his mother and being at school , the school now named after a leader once hated by the locals . 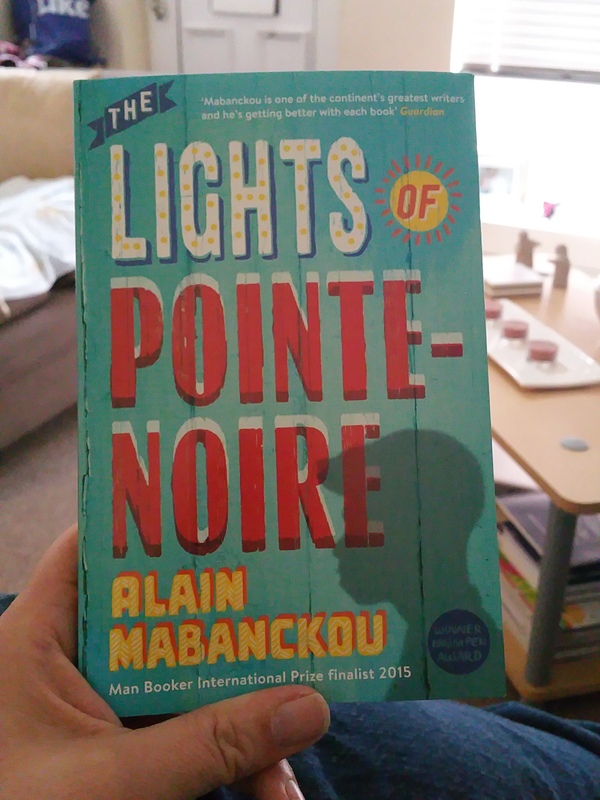 The lights of Pointe-Noire follows Alain Mabanckou as he returns to his home .He left in 1989 , he didn’t return when his m other died but many year later in 2012 . What faces him is his home town Pointe-Noire a busy port town that he left and he has written about in his novels , was no more the sights he remember have changed vastly in the time he was away .The cinema he loved is now a church , the faces he knew have aged .WE see him in the two weeks he spends there in a flat from the French goverment pieces together past and present the brutal nature of what was his bringing up (brutal maybe to us , but he doesn’t turn this into a misery story , no it is littered with that wit , I so love in his fiction ) Mabanckou is able to mix humour with the deepest darkest sides of the human soul .As characters from his past reappear not only do you see them as they are now but as they were and also the sense of how he used them in his books . Looking at an old photo , don’t we all notixce how odd we can seem , I remember one of dad , mill , my brother duncan and I that seems so posed now . It’s often said the past is a foreign country and this is shown to be so true in this book although the places look familar to Alain as he revisited where he grew up after nearly a quarter of a century away .The sense of the place has moved on and he is returning but more like a figure captured on a sepia toned photograph of the place he want tpo escape did escape , but has used so much in his fiction he never real escaped the people that surrounded him , do we ever really escape our past just put it in a different box in our memory . Have you a favourite book from Alain Mabanckou , if not you should read him ? So after a few days away from the blog I return with another of this years Independent foreign fiction prize Long-listed books and this time it is From the Congolese writer Alain Mabanckou .This is the third book from him I have reviewed on Winstonsdad ,I have previously covered Broken Glass and Memories of a porcupine .Now the big change in this book than the two previous books which have both been set in Congo is that this book is set in the Paris ,but more the Paris of the African immigrant a very different one than the one we know and also the story of one Man and the people he knows . The racist neighbour of the Buttologist . The main character in this book is a Congolese man from the capital of Congo ,the same as Alain Mabanckou ,but our man character is a colourful chap who has earned the name Buttologist ,he is one of these chaps that has a swagger about him a modern-day Dandy .He is one of a group of guys that have a certain air around them .This is almost a keen to the English gang novels of Richard Allen who charts the life of Joe a skinhead that then becomes a young man in his other books .This is the story of a man coping with the world around him .The title is a reference to a diary that the Buttologist keeps .He is a man in mourning not for someone who has died, but for his women the women called Original Colour by Buttologist and his friends she earned the name because of the deep colour of her skin ,well she has taken of with his son, who with a midget ,she has gone back to the Congo and left the Buttologist .We see how Buttologist copes with this loss but also through what his friends say a large picture of being African in Paris .But also how being African has been shaped in them the books the read ,the music they like ,how they perceive life . I buy books from the rideau Rouge .And what do I remember from what I’ve read ? A dazzling truth: it’s thanks to colonisation that Cameroonian Ferdinand Onyono wrote The old man and the medal and Houseboy ; it’s thanks to Colonisation another Cameroonian ,Mongo Beti wrote cruel Town and The poor christ of Bomba . I read this and Smiled I have read Mongo Beti’s king Lazurus last year but never got to review it yet so will be tomorrow . I love Mabanckou ,this is my third read from him ,every time I go wow .He is a writer that seems the same yet different in every book ,if that makes sense he has grown as a writer of the books but also has kept what I loived the first time I read him in the heart of the book and that is the interaction of everyday people .Buttologist is a guy you often see around ,not always from Congo the sharper dressed African is some one I ve meet via work and like Buttologist what on the outside the maybe brash dandy looking chap isn’t what they are all about .The other thing I love in Mabanckou writing is a dry and dark wit subtle and shows the clashing of African culture and French culture but also ,the clashing of different african nations as one passage about living in a house with a few Nigerian women and how they argue made me laugh .I see why this was picked for the IFFP longlist ,Sarah Ardizzone has done a great job on keep what appears from talking to Tony who has read it in the original French a vibrant book alive . Have you read Alain ,which is your favourite by him ? A couple of years ago I review another book by Alain Mabanckou Broken Glass .Since I read that a couple more of his novels have appeared in English translation so when I saw this one in the library I decide it was time to review him again ,as his style of writing had intrigued me the first time I read it .He still lives in the California where he is a professor of french ,he is also quite a controversial writer for how he sometimes shows a lot of african problems are of their own making . So to the book Memoirs of the Porcupine won the Prix Renudot a prize that has a number of big name winners in the past . 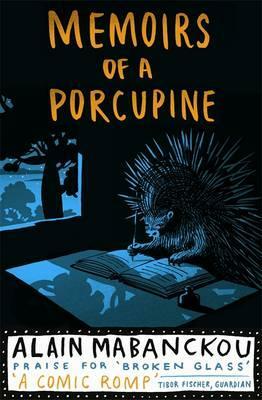 Memoirs of a porcupine is the story of a porcupine he is the spirit of Kibandi a young eleven year old that is facing his journey into adult life .His father has taken him in to the forest to drink a liquid that had been stuck in the ground for many years and thus the narrator the porcupine appears .After this Kibandi turns to killing people and this is the account of this murderous spree by his spirit animal and Kibandi where they went through the village killing people ,now his master is dead the porcupine feels free to tell their story .Now the porcupine has helped in the killing using his special talents but he was Kibandi spirit so had too .As the memoir moves on he also starts to calls himself later in the book Broken glass eluding to the book I read before . I wasn’t present at Kibandi’s birth ,not like some doubles ,peaceful doubles they’re called who are born the same day as the child ,and watch them grow ,their masters never see them ,they only intervene when necessary ,when their initiate falls ill ,for example or has a jinx put on them ,it’s a dull life being a peaceful double ,in fact I don’t know how they stand it . I was reminded of the Pullman’s book here ,but also Mabanckou sly humour at times . Now like broken glass there is a very loose feel to Mabanckou prose style almost like it is written by a porcupine or a drunk , a certain beat to his work as you read .I ve read a couple of interviews and articles about him like this one in the economist ,and I can feel a rumba beat that he says he so enjoys in this book , but also a passion for clever word play ,a style that seems simply written but is deep oh and he doesn’t like full stops there isn’t any in this book but after a time you get how the grammar works .Again he has been compared to Beckett as I often see (although part of me wonders if any one you can’t easily put in a box are compared to Beckett or Faulkner ,you often see them mention ) .But having read Ahmadou Kourouma waiting for the wild beast s , I feel Mabanckou is firmly placed in the Franco african school of writing some parts of this book echo Kourouma style wise and even further back to other writers I ve read .This is where elements of magic realism ,surrealism but also a large chunk of oral tradition the tales told by the village type ,the parables to warn of where you can go wrong .The heart of this book is rooted in African myth the myth of animal doubles has appear in many places around the world even Philip Pullman used the in his “his dark materials ” books .As well as looking back he is looking in the present part of me wonder if Kibandi story is partly about the child solders and the violence that have been seen in the region of Africa in the where Alain Mabanckou is from .neighbouring Uganda the lords resistance army has used very young men to run riot and kill millions .Not overly sure but there is a feel Kibandi story is a warning of what can happen when child on the verge of young adulthood can go the wrong way .Again I leave his book wanting to try more of this unusual writer ,but also maybe wanting to read earlier Franco african writers to help better place him as a writer (that said I have since I read this ,I have read Mongo Beti book King Lazarus a long out of print book from the african writer series ). 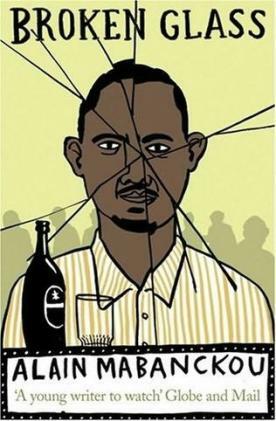 Do you have a favourite french language African writer ? 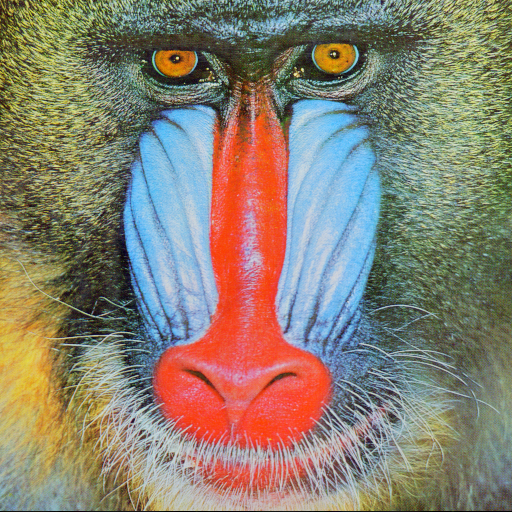 Have you read Mabanckou ? Alain is originally from the Congo but now teaches in ucla in america ,he won the Prix Renaudot for his book Memoirs of a porcupine ,he also has another book Published by serpents tail that publish this edition .he studied law in Brazzaville before moving to france and is also a poet ,he also writes poetry .Broken Glass follows broken glass a man who is broken and spends all his time in a backstreet bar in congo ,at one time a teacher that fell on bad times after a scandal at the school he taught .the boss of the bar credit gone west suggest that broken glass should talk to the regulars about their lives and make a book of it as he has heard many western writers like to drink and write .so Broken glass starts talking to the regular and find himself drawn in to the equally woeful lives .We discover bad wives ,bad husbands along the way .there are some wonderful names pampers man ,broken glass . Let’s say the boss of the bar Credit gone west gave me this notebook to fill , he’s convinced that I Broken Glass – can turn out a book .because one day ,for a laugh ,I told him abut this famous writer that drunk like a fish ,and had to be picked up off the street when he got drunk ,which shows you should never joke with the boss . the opening of broken glass . This book runs at such a pass ,you can feel the speech of this part of the world joyful and non stop ,the sentences are long but don’t seem it as you get swept along through drinks and chats to see the different lives of the regulars .I worked for a time in a pub in my distant youth and can easily identify with the people of Credit gone west ,men escaping with ,men seeking solace in drink after being disappointed in their life, as in the pub they are all equal ,this is such a refreshing book to read Alain Manabckou deserves his tag of being one of the writers in the 21 century to watch . he is due in london soon to be part of the lrb weeekend .